There-to-Repair: Focusing on Clients and Their Property. There-to-Repair engages in a wide variety of projects for its clientele ranging from homes flooded by a busted pipe to hidden mold growing within a wall cavity. We are a full-service removal and re-construction firm with customized service offerings and an attention detail that far surpasses everyday restoration companies. From the first steps of the estimate to the final steps of the project, we share a truly cohesive relationship with each and every client; one that leaves a lasting impression with lasting results. There-to-Repair has been offering its superior services to the area for over 15 years. Our recommendations and results stem from a deep knowledge of building construction, indoor air quality (IAQ), microbiology, and environmental sciences. This knowledge and understanding makes it so that we may provide you with the best possible solutions for your situation. What makes There-to-Repair superior to fellow industry organizations is our multitude of standards, attention to detail, accomplishments, and positive client reactions. Not to mention our long-sustained record of no client complaints since our inception over 15 years ago. We have been in the water damage and mold remediation/restoration business for over 15 years. All of our employees working in the field are well-trained, experienced, and fully certified. We have been honored by the Ethics in Business Association for our honest and ethical business practices for several years now. We are fully licensed, bonded and insured for all work we perform. Our former clients have included major hotel chains and casinos, property management firms, major corporations, government entities at the state and federal levels, private homeowners with properties of all sizes, tenants of homes, condominiums, duplexes, townhouses, and apartments, as well as property buyers and sellers. We provide a 10-year warranty for our mold remediation services. We stand by our commitment to quality workmanship with this guarantee. We maintain stable crews of experienced workers. No crew member has been with our company for less than four years. There-to-repair is used by insurance companies, homeowners, business owners, tenants, property managers, real estate agents, potential home buyers, home sellers, local, state and federal government, hotel managers, apartment managers, casino maintenance managers and a variety of other client types. We bid for the job and no job is to insignificant or too big for us to manage. 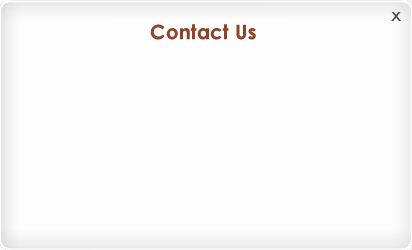 If you have any further questions, please don't hesitate to contact us. We are here to answer any questions you have about your situation or our services. To reach us by telephone, call toll-free 1-877-886-6259. Here at There-to-Repair we have an uncompromising commitment to providing our customers with quality service quality, while meeting the highest level of ethical standards and performance in our customer service. We want our customers to feel assured that the services they receive meet their diverse situations and requirements. We continually revise our protocols and procedures on a level that surpasses industry standards to accommodate to modern and anticipated building design and technology, building codes and requirements, industry technologies, industry standards and the needs of our clients at every level. In addition, our environmental, health and safety standards helps to ensure our business operates in a manner that protects the health and safety of our employees, customers, community neighbors, and the environment. If you have any questions about our company, our services or how we can respond to your needs, please contact us at 1-877-886-6259 or submit a contact form here.